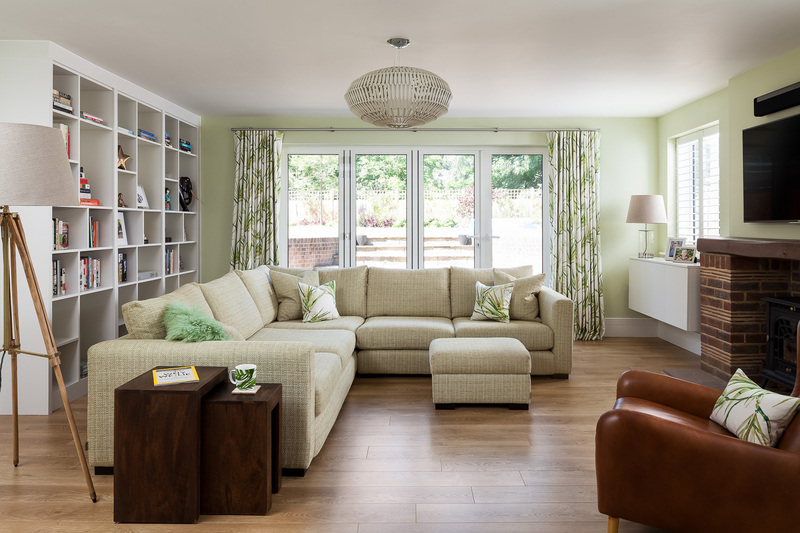 To create a kitchen packed with style and storage, that worked with the proportions of their new extension and works for their young, and growing family. As with all our kitchens, we started off by looking at how Suzi and Dan wanted the kitchen to feel and how they wanted to use the space. With two young children it was important alongside cooking, their boys had tons of space to run around and that one eye could be kept on them whilst cooking too! Initially the thoughts were to bring the kitchen round with a window to the garden, so the sink could face outwards. 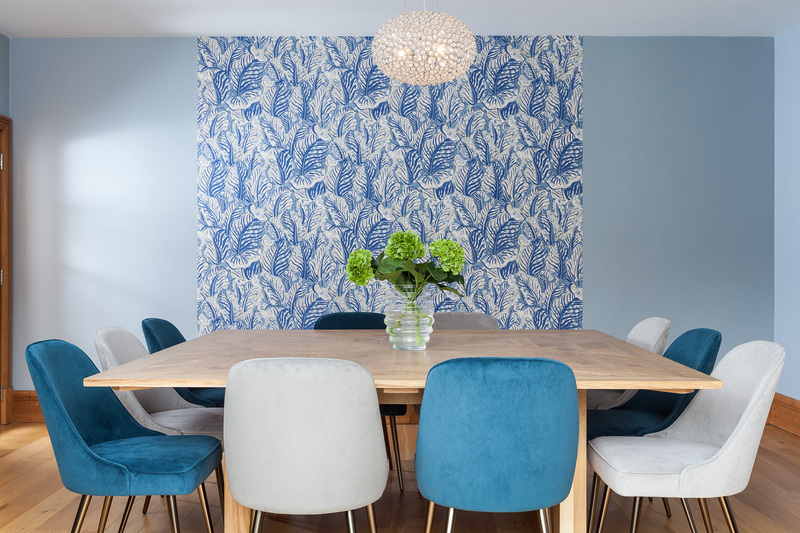 We proposed switch things up and recentralise the room so the fabulous range took centre stage. 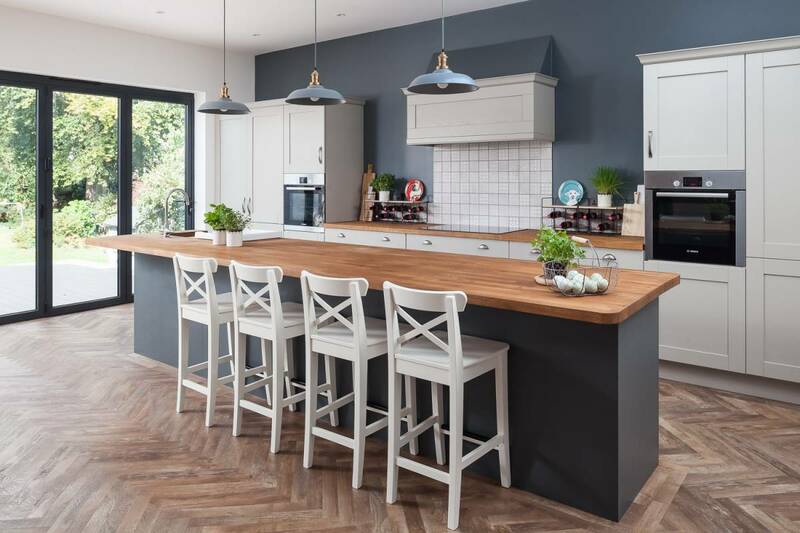 This centralises the cooking space and with the sink on the island, the main view from the kitchen is back in to the living space, and those in the kitchen – great for making sure the cook is still part of all the fun. 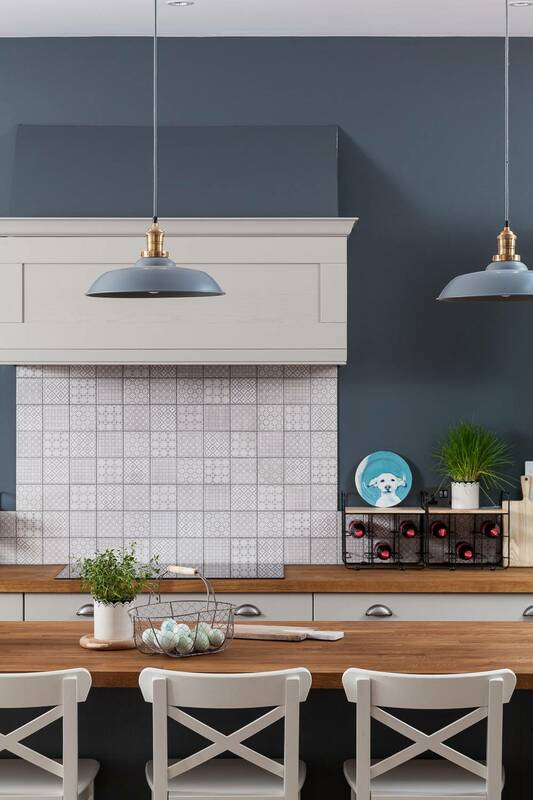 Dan and Suzi have a great eye for design and the depth of colours chosen for the kitchen units and walls add cosiness to the space to make it absolutely stunning. 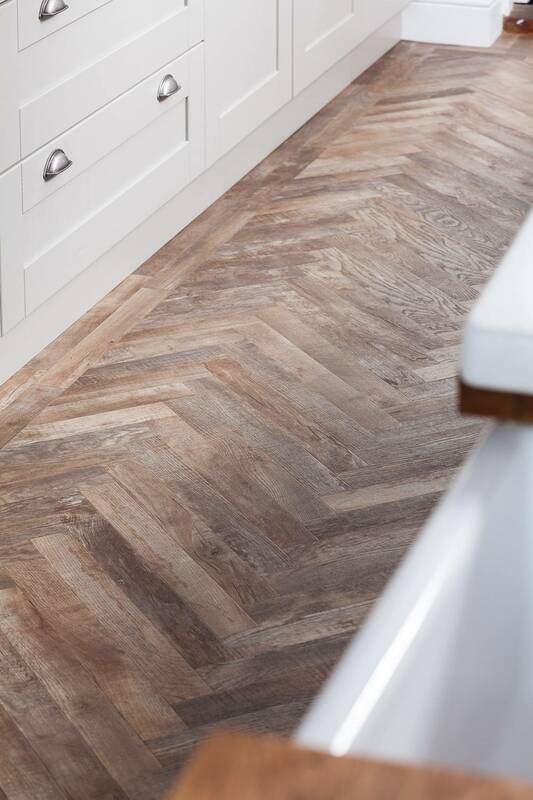 All topped off by the gorgeous herringbone design on the floor – which is one of our absolute favourites. On the opposite side of the kitchen, ‘revision corner’ was born! 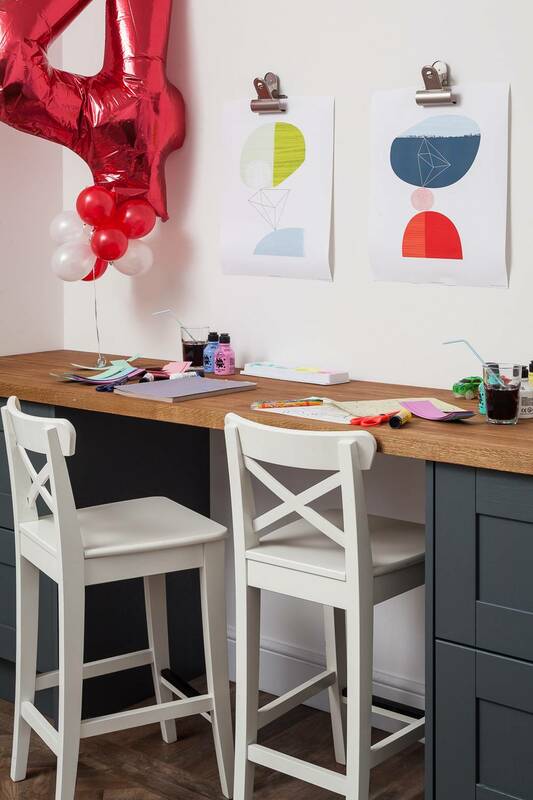 A little desk area to match the kitchen island was installed for the boys to get crafty and messy at, and to complete homework in the future!